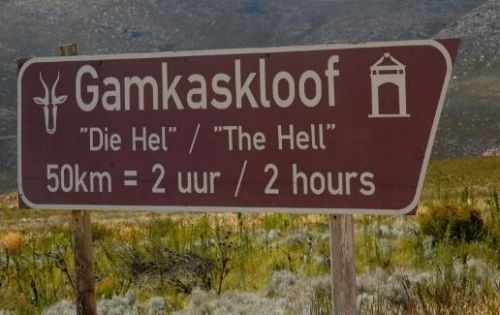 Gamkaskloof, or 'Die Hel' is a hidden valley deep in the Swartberg Mountain range of the Western Cape Province, South Africa. The Gamka river (Gamka is the Khoisan word meaning 'Lion') flows into the fertile valley which lies in an east-west direction and is about 20km long and 600 meters wide. A small, isolated farming community lived there for more than 100 years. The only access was on foot and horseback and harvests of dried fruit and wild honey were carried out by pack animals. 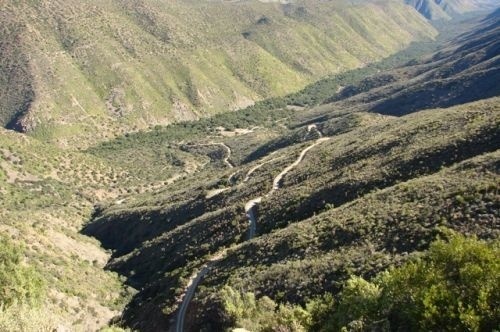 A road was eventually built into the valley and opened in 1962. People then started moving out and many farms were abandoned. 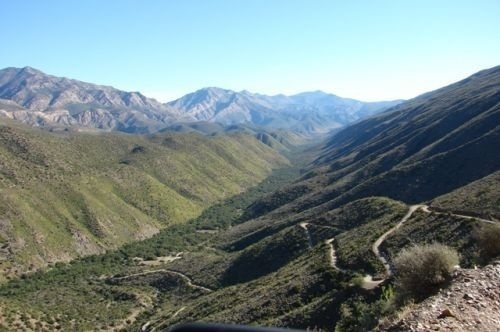 Most of the land in the valley, now belongs to Cape Nature Conservation. (Dec-11).